By adding a poison pill to legislation implementing the latest Minsk agreement, the Ukrainian government has effectively guaranteed a resumption of the civil war, which U.S. hardliners and the mainstream U.S. media will no doubt blame on ethnic Russian rebels and Russian President Vladimir Putin. The U.S. media has focused on the so-called Minsk-2 agreement’s cease-fire component, first claiming it was being sabotaged by the rebels and Russia but now acknowledging that it is shaky but relatively successful. But the larger point of Minsk-2 was that it would provide for a political settlement of the civil war by arranging talks between Kiev and authorities in the east that would lead to giving those areas extensive self-rule by the end of 2015. But the implementing law that emerged this week from the Ukrainian parliament in Kiev inserted a clause requiring the rebels to first surrender to the Ukrainian government and then letting Kiev organize elections before a federalized structure is determined. The Minsk-2 agreement had called for dialogue with the representatives of these territories en route to elections and establishment of broad autonomy for the region, but Kiev’s curveball was to refuse any talks with rebel leaders and insist on establishing control over these territories before the process can move forward, in effect requiring a rebel capitulation. Reflecting that view, Vadim Karasyov, director of the independent Institute of Global Strategies in Kiev, said: “Ukraine isn’t going to go along with any legalization of those so-called people’s republics. We need them to be dismantled,” according to the Christian Science Monitor. Kiev’s maneuver – reflecting the bellicose position of neocon Assistant Secretary of State Victoria Nuland and other U.S. hardliners – puts pressure on German Chancellor Angela Merkel and French President Francois Hollande to either get Ukraine’s President Petro Poroshenko to return to the original understanding of Minsk-2 or watch the fighting resume leading to a potential showdown between nuclear-armed Russia and the United States on Russia’s border. 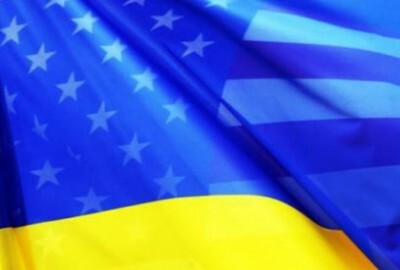 The uprising in Kiev reached its peak on Feb. 22, 2014, when a violent coup – spearheaded by neo-Nazi militias from western Ukraine – drove elected Yanukovych from office, with the U.S. State Department immediately declaring the new regime “legitimate.” The coup government then sought to impose its control over the ethnic Russian east and south, which had been Yanukovych’s base of support. Protected by Russian troops who were already based in Crimea on a base-lease agreement, the people of Crimea voted to secede from Ukraine and rejoin Russia, an annexation that took place one year ago. Uprisings also occurred in the eastern Donbass region with hastily arranged referenda also seeking independence from Kiev. The coup regime responded by declaring those resisting in the east to be “terrorists” and mounting a punitive “anti-terrorist operation” that relied on army artillery to bombard cities and neo-Nazi and other right-wing militias to go in for the brutal street-to-street fighting. Thousands of ethnic Russians were killed in these offensives as the rebels were pushed back into their strongholds of Donetsk and Luhansk. However, receiving supplies and other assistance from Russia, the rebels turned the tide of the conflict and began driving the Ukrainian military back, inflicting heavy losses. To stop the rout of government forces last September, the first Minsk ceasefire established a tentative frontline around the rebel strongholds. But Kiev continued to squeeze the rebel-held cities by cutting off access to banking and other services while neo-Nazi and other militias undertook “death squad” operations to kill rebel sympathizers in government-controlled zones. When that first cease-fire broke down, the rebels made new gains against the Ukrainian military, prompting Merkel and Hollande to broker a second ceasefire, which included a structure for resolving the crisis with a political settlement to grant eastern Ukraine substantial autonomy. The German press has reported on some of this U.S. strategy after the Bild newspaper obtained details of conversations that Nuland and other U.S. officials held behind closed doors last month at a security conference in Munich. Nuland was overheard disparaging the German chancellor’s initiative, calling it “Merkel’s Moscow thing,” according to Bild, citing unnamed sources. The tough talk behind the closed doors at a conference room in the luxurious Bayerischer Hof hotel seemed to be contagious as the American officials, both diplomats and members of Congress, kept escalating their rhetoric, according to the Bild account. Another U.S. politician was heard adding: “It’s painful to see that our NATO partners are getting cold feet” – with particular vitriol directed toward German Defense Minister Ursula von der Leyen as “defeatist” because she supposedly no longer believed in a Kiev victory. According to the Bild story, Nuland laid out a strategy for countering Merkel’s diplomacy by using strident language to frame the Ukraine crisis in a way that stops the Europeans from backing down. “We can fight against the Europeans, we can fight with rhetoric against them,” Nuland reportedly said. Yet, through all of the past year’s scheming and maneuvering by Nuland and other U.S. officials, the mainstream U.S. media has studiously ignored the coup side of the story, insisting that there was no coup and adopting an “I-see-nothing” response to the presence of neo-Nazi militias leading the fight against the ethnic Russian east. For the New York Times, the Washington Post and the rest of major U.S. press, everything has been explained as “Russian aggression” with Putin supposedly having plotted the entire series of events as a way to conquer much of Europe as the new Hitler. Even though the evidence reveals that Putin was caught off-guard by the coup next door, the U.S. media has insisted on simply passing along Nuland’s propaganda themes. 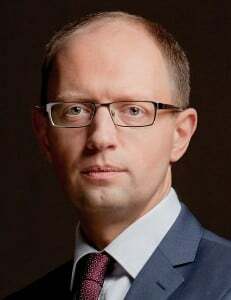 Thus, it is a safe bet that when the current ceasefire breaks down and the killing resumes, all the American people will hear is that it was Putin’s fault, that he conspired to destroy the peace as part of his grand scheme of “aggression.” And, the Nuland-Yatsenyuk sabotage of Minsk-2 will be the next part of this troubling story to disappear into the memory hole.